Iraq vs ISIS: How can the U.S. Help? In June 2014 I witnessed thousands of Iraqis throng the offices of top Shia clerics in Najaf, including Grand Ayatollah Ali-al Sistani, asking for a religious injunction to proceed towards Mosul and fight the Islamic State. It was not a choreographed exercise. People were genuinely moved to make a difference. A Jihad fatwa was indeed issued as a result encouraging Iraqis to join military for the purpose but the fervor — even though it mobilized thousands — was not a substitute for a coherent Iraqi policy to defeat the Islamic State. As a result, Iraq now is bleeding to death at the hands of this vicious and fanatical group that is empowered by conflict in Syria, poor governance, and sectarian bigotry. It is difficult to deny that the US occupation inadvertently set it in motion. Since that day in Iraq, over ten thousand people have been brutally killed, over two and a half million displaced, and around two hundred thousand are now refugees in neighboring states. Islamic State thugs now control nearly one third of Iraq — areas where about one fifth of the Iraqi population resides. The Iraq-Syria border no longer exists. Iraqis feel abandoned. American public skepticism about another ground war and concerns about Baghdad’s capacity to be inclusive are weighing heavily on President Obama’s mind apparently as he has largely ignored Iraqi prime minister Haider al-Abadi’s pleas for stronger U.S. support to tackle the Islamic State. It leaves Iraqis puzzling over the United States’ real intentions — adding to the long list of challenges for the future of US diplomacy in the region. I have traveled to Iraq thrice since then and have spent much time talking to a broad segment of Iraqi society and leaders, from college and seminary students, to several prominent religious and political leaders in Baghdad, Najaf and Karbala. At a September 2015 conference in Baghdad, I interacted with politicians and government officials whose views were consistent with what I have been hearing throughout my travels: they harbor deep skepticism about U.S. intentions in Iraq. They seriously doubt that President Obama’s directive to “degrade and destroy” the terror outfit is for real. A leading Iraqi politician asked me whether Americans only seek to “contain” the Islamic State, or if we are also contemplating the “elimination” of this menace. Time and again, I heard confusion about actual U.S. policy. This lack of clarity about U.S. intentions and policy has even lead to conspiracy theories that the United States supports the Islamic State. Why do Iraqis feel this way is not that hard to grasp. For both Sunni and Shia in Iraq, their stark reality is that the Islamic State continues to expand its operations and strengthen its support base in Iraq and Syria. If a U.S.-led international coalition, one supported by regional players, is not showing real results on the ground—the conclusion is that the response itself is weak and half-hearted. The United States has its own list of complaints ranging from Iraq’s increasing “reliance” on Iran and linked support to Syria’s brutal dictator Bashar al-Assad. For any change in Iraq’s regional policy inclinations, U.S. officials need to regain the trust of Iraqi partners. The Obama administration cannot ignore that the splitting up of Iraq along ethnic and sectarian lines — a phenomenon already in motion — is a recipe for perpetual war and further empowerment of radicals across different Muslim groups living in the region. To remain aloof at this hour is self-defeating. The emerging terrorism hub in and around Iraq has become far more threatening to global security than the Taliban revival in Afghanistan, where Obama is wisely adjusting his policy. A unified and democratic Iraq is still possible. U.S. assistance to the Abadi government should be linked to constitutional reforms — to decentralize power and move towards establishing a federation — and improvement in rule of law, but the important point is that critical U.S. military assistance is sorely needed and should not be delayed. Iraq is asking for more intrusive and extensive air strikes targeting the Islamic State. Its military is not a professional force by any stretch of imagination but it is far better to engage them than militias and tribal groups. Iraq needs modern military hardware and training so that Iraqi security forces can dismantle Islamic State infrastructure in Iraq setting the stage for governance reforms. Abadi is far more amenable to these ideas than Maliki. At the end of the day, a sustainable victory against the Islamic State will depend on every Iraqi citizen getting treated equally and justly. It is worth noting that despite many failures and weaknesses, there are bright points in Iraqi security forces’ record. They have shown some signs of improvement and potential in recent military offensives against the Islamic State. It has at least been able to successfully secure the South of Iraq. And when around 15 million pilgrims travelled to Karbala last December for the annual religious commemoration known as ‘Arbaeen,’ the security forces effectively safeguarded the Najaf-Karbala area — an area that ISIS has repeatedly threatened for sectarian reasons. Additionally, Iraqi society is showing resilience and unity in the face of deteriorating governance. Both Shia and Sunni are participating in the street protests against corruption and lawlessness indicating that Iraqi society can overcome the wounds it suffered over decades of oppression, occupation and violence. Helping Iraq upgrade its security forces — including its civilian law enforcement & paramilitary capability — will also lessen its reliance on Iranian backed militias that are a death knell for institutional capacity building. The US can — and must — help Iraq tackle the Islamic State challenge in a decisive fashion and convince those fighting the Islamic State that it is indeed on their side. 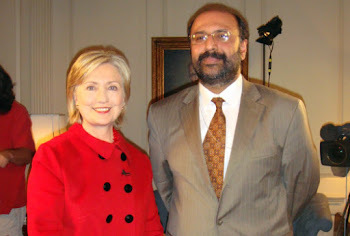 Hassan Abbas is Professor of International Security Studies at the National Defense University’s College of International Security Affairs in Washington DC & a senior advisor at the Asia Society. 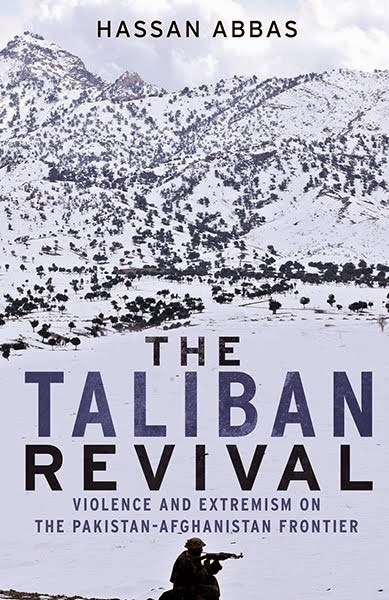 He is author of The Taliban Revival: Violence and Extremism on the Pakistan Afghanistan Frontier. The essay reflects author’s personal opinions, and it does not necessarily reflect the views of the NDU, the Defense Department or the U.S. government.